The big day is here at last, we are opening on Saturday 27th August. Come down and enjoy our opening day, with face painting and balloon modelling on the day. Please note that on the 1st Sunday of every month we are closed to the general public for autism friendly / additional needs sessions until 11.30am. Hot and cold food served until 5pm apart from Wednesday where food is served until 3pm. Drinks and snacks served until closing. Open every day apart from 24th, 25th, 26th and 1st January. (Please note we will also be closing at 2pm on New Year's Eve). Fun packed sessions for pre school children including toys, crafts, singing with Bruno bear and much more. A chance for children to interact and parents to socialise in a relaxing and safe environment. Personalised parties in our private party rooms! There's something for everyone from princesses to football fans! Please ask if there is anything we can do to make your party even more special. Adventure Forest has a luxurious café for parents to relax. 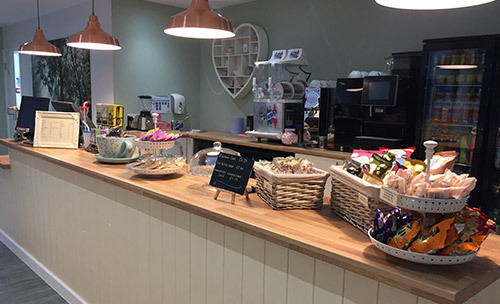 Serving delicious fresh homemade food and cakes. Autism friendly and additional needs sessions. Additional needs sessions - Exclusive sessions for children with additional needs to play freely and parents/carers to socialise and relax in our luxurious café. Autism friendly sessions - Exclusive sessions for children with autism to play in a low stimulus environment with a quiet area to chill out if needed. Parents/carers can socialise and relax in our luxurious café. Complete our membership form and bring it with you to save time.